800 metres from the Beach. 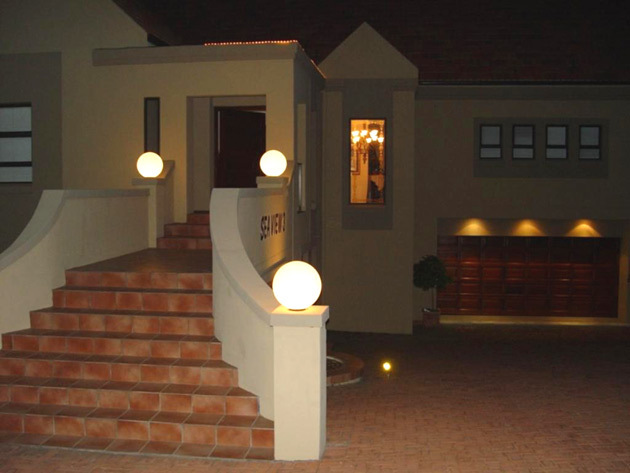 3 en-suite very spacious selfcatering rooms stylishly decorated each with their own entrance and seaview. a Breakfast of 3 cereals, coffee, tea, milk, rusks, joghurt and fruit juice which is for selfhelp in the rooms available is included in the rates. Safe off street parking. Ons room opens with sliding doors onto a covered patio with garden furniture and a gas/charcoal barbeque. The other 2 also opens to outside on a wooden deck/steps. 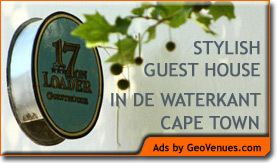 Garden Route Boutique Hotel and Spa.